"Children love these rich, frozen, fudgy treats! Make some for your Fourth of July celebration." In a mixing bowl, combine pudding, sugar, and milk. Pour mixture into small plastic cups (if you do not have ice pop molds) and freeze. When set, place a wooden craft sticks into them if you are using plastic cups. Serve when frozen. Cool it down! 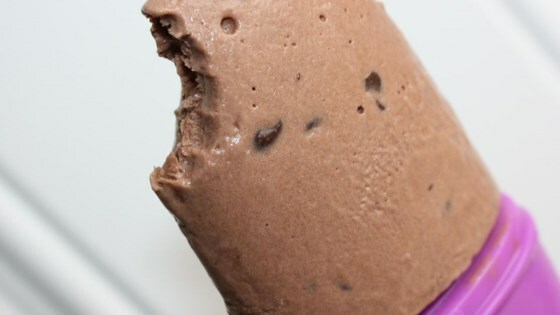 Turn three simple ingredients into easy frozen fudge pops. For those who thought these fudge pops weren't creamy enough, try mixing packages of instant chocolate pudding as directed on the box and freezing the pudding into pops. Incredible. My whole family loved this recipe. I made it exactly as the recipe suggests, and we ate them before they were completely frozen hard, and they were delightful. EVERYONE liked them! Yum!